An invitation addressed to His Grace, the Duke of Harlowe, has found its way into our newsroom. It appears that Gertrude Marsden, Countess of Marsden may have sent several letters of this ilk regarding revels at her country house. The lady, if we may call her that, is quite bold in her expression in this one. 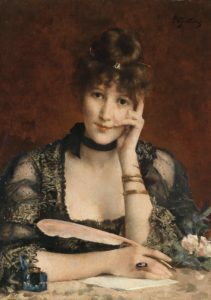 We at the Teatime Tattler believe it will be of interest to our readers, who may wish to be warned about the countess’s nature before they accept. Now that we’ve sent that rascal Bony to the far reaches of St. Helena, I’m ready for festivities for the Season! I hope you are also. To marry off my darling nieces, I’ve invited my fondest friends to my Christmas house party on the North Steyne in Brighton from December 21 through December 28. Twenty-six will lodge in the house. More than one hundred also have responded they’ll attend my annual ball Christmas night. At least half of them are eligible men. And should you accept my invitation—which of course this is—you will be numbered among them. I do hope you will attend us here for the duration! I’ve planned the usual diversions. Greenery gathering, though we do not wish to prick our fingers! Cards and dice, though I will ensure my darling Marjorie does not pick your pocket too deeply! Charades. Do plan to partner me in that game as—perhaps—Romeo and Juliet? Elizabeth and Darcy? I know it has been five long months since we “played” at anything together. However, I do presume to invite you to join me during this gathering. I need a partner. You. Yes. You see I am quite frank! First and foremost, my step-son, Colonel Lord Marsden, remains with Wellington in Paris. While I wish for his return—especially to do what his heart commands and woo my niece Marjorie—I have no final word from him that the Duke will permit him leave of absence. Secondly, but not less important, I must declare once and for all, Your Grace, I need you here with me. For Christmas, I wish you close. I can imagine your marvelous blue eyes wide, your grey brows arched high, with surprise at my declaration of desire. But I am compelled. Driven. Indeed, needy, Your Grace. Needy! No, I have not written you since I left you in that quaint little hotel room that afternoon in Margate in August. I wished to contemplate what we did there. And I’ve concluded that what I felt then for you, Your Grace, was a passion as hot, an affection as radiant as the summer sun. I feel it still each time I recall us as we lounged like libertines on the terrace naked while the sea crashed upon the shore and took our breaths in such raptures. I do confess that since I left you that afternoon I’ve been atwitter, hoping against hope you might favor me by calling upon me. Alas, you have not. But I excuse you readily. Of course I do. I put your reluctance down to your desire to conclude your year of mourning for your wife. That formal period ended last week. After much thought on the matter, I can understand other reasons why you’ve not approached me. You were shocked by your quick affections. I was surprised by my own. After all, it had been five years since last we met…and enjoyed the varied rewards of our mutual affections. Five years ago, those were of conversation and the recognition of like minds. Our Margate encounter was the rekindling of those sparks which previously we dared not fan. Yet I will declare our interlude was a unique rapture. If my heart palpitated with exquisite delights that afternoon we spent in the throes of madness, my mind since then has relived a thousand times the ecstasy we shared. Might you not come to my party? Might we not rekindle the flames of a glorious afternoon rolling as God made us upon those downy linen sheets? Yes, you may call me bold. Yes, you may refuse me a response. But I ask you, Your Grace, is not life for the living? My husband has long since departed this world. Your wife, gone less time, but nonetheless not of this world. My step-son is grown. A man about to take a wife. My other responsibilities of my dearly departed sister’s three daughters will soon cease as they go to their own marriage beds. My days spread before me and I wish for another marvelous taste of true love before I grow too mature to revel in its physical pleasures…and its ethereal rewards. Won’t you join me and my guests for Christmas? Let us hail Christmas with reverence. Hail my nieces’ and my step-son’s engagements with joy. And ring in the New Year, just you and I alone in a cocoon of our mutual desires for romance, love and conjugal unity. Darling Winston, let us not to the marriage of true minds find impediments. We are too old to worry that children may object. Would yours dare? They married for love. We two are also free, unburdened by family responsibilities. Your three are married and prospering. Mine soon will be, too. We both are too established among the ton to care that you are a duke, widowered, and I, a widowed countess who has slept alone for more years than I care to recall. May we not, my dear, revel in the Season and in each other? I long to kiss you and invite you to cavort with me! Let this be a happy Christmas! Come to my party! We’ve much to enjoy! 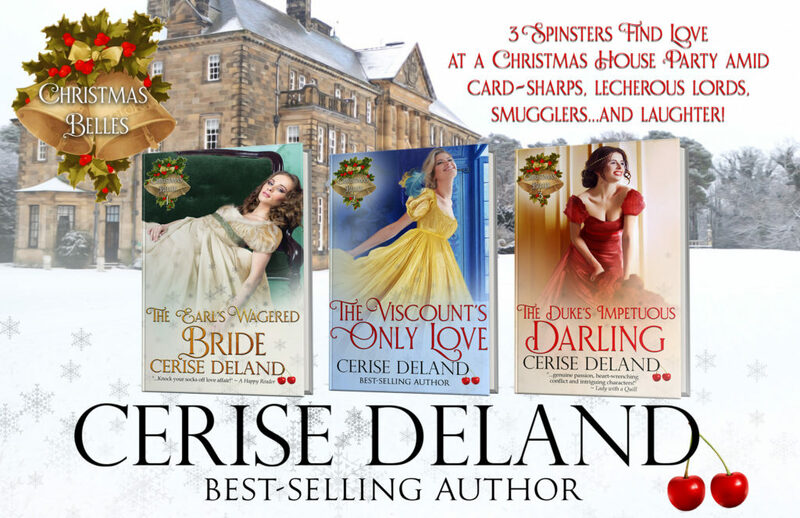 Cerise DeLand loves to cook, hates to dust, lives to travel, read and write! She pens #1 Bestselling Regencies and Victorians known for their spice, historical accuracy and eloquence! 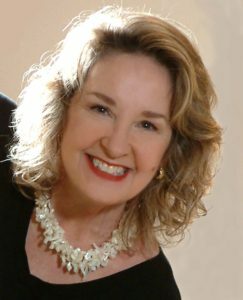 With awards on her shelves for more than 60 romances, she’s written for Pocket, St. Martin’s and Kensington. She likes awards…and wine at 5 p.m.
OMG! I love this letter!